Hashbrowns here! 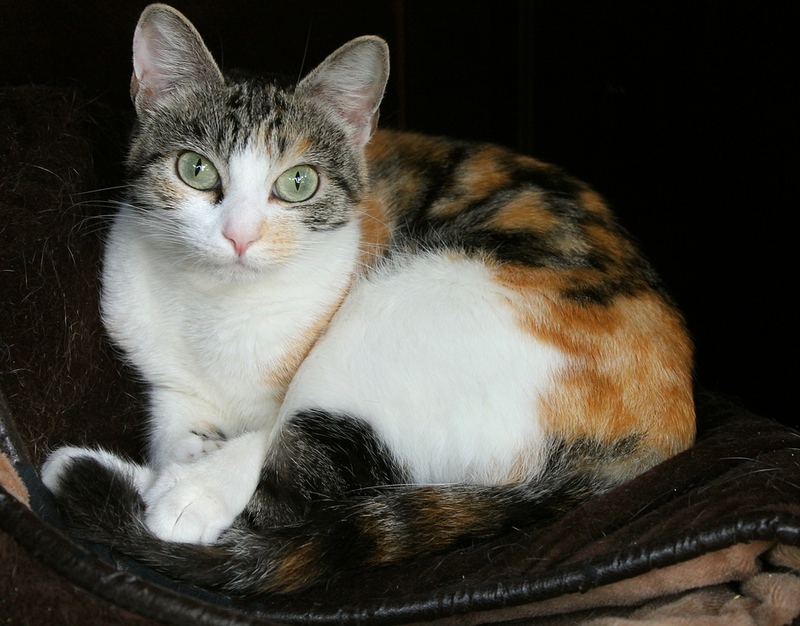 I’m a super cute and petite little calico girl that you are certain to fall in love with! I’m just over 1-year-old and came into Pixie with my litter of kittens, who’ve since been adopted and now it’s my turn! Before they were ready for adoption, we all lived in a foster home with other kitties, dogs, and kids, and I was wonderful with all of them. I’m very cuddly and don’t mind being held at all — in fact, I really enjoy being cuddled and since I’m so petite, I’m really the perfect size to fit snug in your arms. I’m still a very young kitty so once I’m adjusted in my new home, I know I’ll be quite playful! I was a very good mama, but I am more than ready to start life on my own and become best friends with my new family! I know I’d be a really great fit for pretty much any household — I’m pretty mellow and used to being indoors, so I’d be just fine in an apartment setting, but would also adapt well to a big, bustling house with lots of activity. Do you love hashbrowns? Once you meet me, I know you will! Come down to Pixie to meet me today! I come to you fixed, vaccinated, and micro-chipped for an adoption fee of $100.